"Beautifully even leaf, with olive flecks. Grown at high elevations." 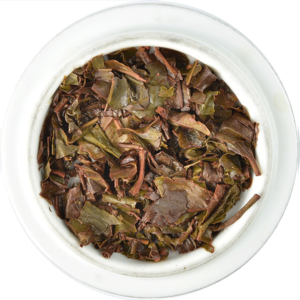 Beautifully even leaf, with olive flecks, hinting at the high elevation at which this exceptional tea was grown. When brewed, the leaves unfurl and acquire jade green hues as they release their aroma and flavour. The result is a clear, amber liquor with highlights of gold and a delightfully elegant and refreshing character. A fresh, grassy note complements a light, bright, and elegant tea. A gentle, yet energetic personality evolves into a complex of citrus, tropical fruit, and floral notes. 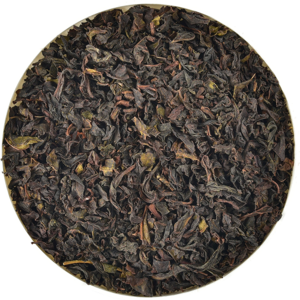 This Lovers Leap Estate tea is High Grown at 5,700 feet above sea level. High above the town of Nuwara Eliya, Lover’s Leap is named after the tragic legend of two young lovers who leapt from the top of a picturesque waterfall on the estate. Tea from this estate is picked from the foothills directly below Lover’s Leap waterfall in Nuwara Eilya. During the estate’s peak season in February-March, this estate’s production is characterized by a delightful flavour that is astringent and lively. 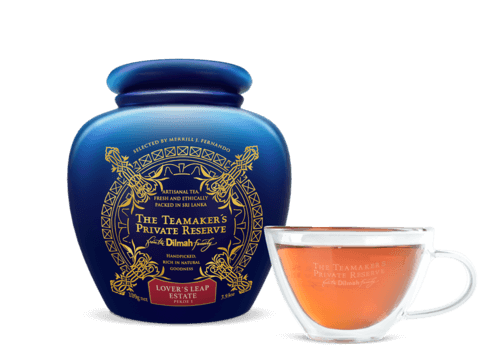 Because of its delicate and mellow nature, it is an ideal tea liquor for the late evening or after dinner. 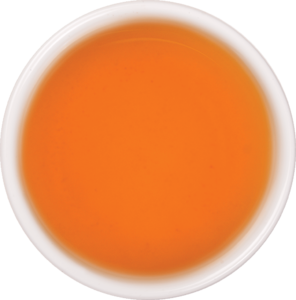 A touch of honey, a sliver of ginger, or a slice of lemon may enhance your enjoyment but we do not encourage you to add milk to tea from this estate.